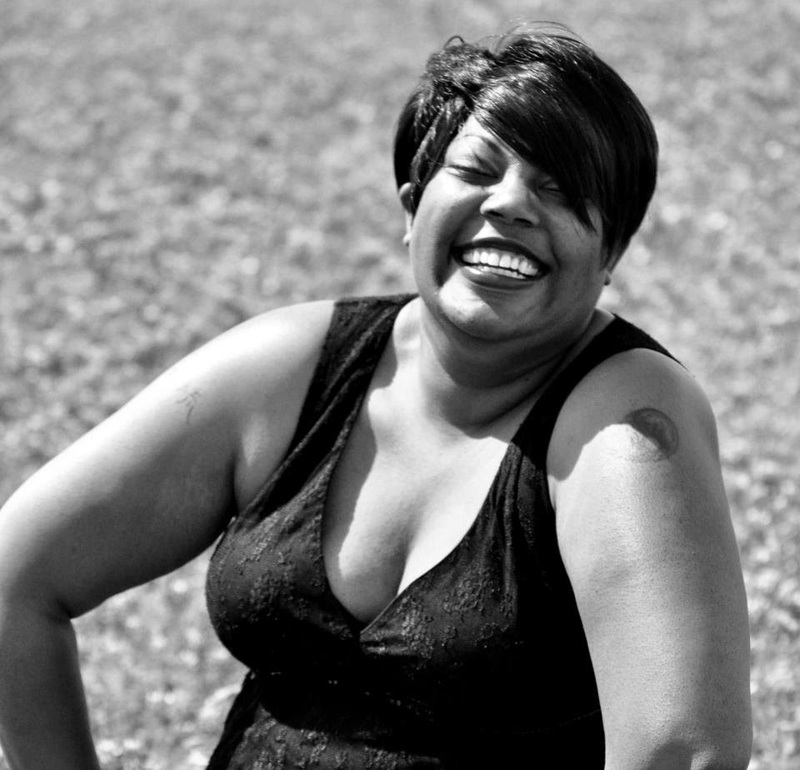 The other day I was browsing Facebook and saw a post with my buddy Angela Brown's name in the title, so I clicked. Holy cow. I'm glad I did. She's got new covers for her new adult Shadow Jumper books and I'm so in love with them, I contacted her immediately and said something like, "Please visit my blog so I can share them with the world, too!" She graciously agreed to share the why of the new covers. A very interesting story. Take it away, Angela. Thanks for having me here, Kai, and for the chance to share some of the background for some changes recently made to my Shadow Jumpers series. Let me start by saying that changing the covers wasn’t an overnight whim. This originated from me, as an author, accepting that I needed a little help (okay, a LOT) with my brand for my Shadow Jumpers series. I knew something was off so I reached out to a PR specialist for a consultation. She and I did some walk-throughs of my blog, my Facebook and my covers. One of the main things she mentioned was that my covers for my series looked great… as stand-alone novels. Each one was uniquely beautiful, crafted with gorgeous design, but said absolutely nothing, branding-wise, to link them as series books (no, just slapping Shadow Jumpers on the cover didn’t count lol!!!). She suggested I check out some of the more popular series sets for my upper YA/NA paranormal genre and organize what I wanted the books to say in a design-linked way. Well, um, okay. I checked out several sets, including The Hunger Games, and realized what she was talking about. My mind understood what needed to happen, but my heart was not happy. I had Neverlove and They All Fall Down specifically designed to be unique, yet I hadn’t taken the series angle into design consideration. First thing I had to do was pray and meditate. Seriously. 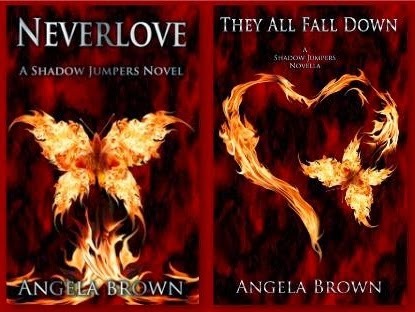 I’d been loving on the original covers since fall of 2012 for Neverlove and fall of 2013 for They All Fall Down. We weren’t married, but we were in a committed relationship lol!!! Next, I honestly weighed the consultant’s recommendation of changing covers against keeping them as they were. Changing them would give me a chance to try something new, try a new angle AND add in the series concept so the covers are easily recognizable. Keeping them? Not so much. Then I had to decide HOW to change. I knew from the jump I’d want to go a more symbolic route. Symbols were a big part of the original covers so I wanted to keep that. My search took days, because I had to find something that both my head and heart could love. Then I found the fiery butterflies and heart. You know that warm and giddy sensation you get when you taste the most decadent dessert to come across your dinner table? THAT’s what the graphics for my new covers did for me. They were simple, brilliant, beautiful, and made both my head and my heart happy. The difference is immediate, impacting and wonderful. Abigail - Abused to the point of defeat, seventeen doesn't seem a bad age to die. Surviving suicide leads her to a second chance at V'Salicus Academy to become a Cleanser, a protector of lost souls. Basil - Perfection is the key to earning his parents' love. A slip of the tongue lands him in service to hell as the devil's newest Harvestor, a collector of lost souls to feed his new master's constant craving. As with angels and demons, love is forbidden for Cleansers and Harvestors, yet it is the forbidden that is most alluring. When their paths cross, true love is what Abigail and Basil finally discover in each other. Can they hold tight to their love, or will duty trump all, leaving them both to a fate of Neverlove? Abby and Basil no longer cross in between life and death to protect lost souls...or steal them. But their former duties as Cleanser and Harvestor threatens to bring an end to the new path they've chosen. In the shadows, the new master of hell, Q, embraces his role as the Devourer. With a crave that refuses to be denied (for souls and so much more), he sets a plan in motion to bring about the fall of mankind and finally take the one woman constantly slipping from his grasp: Abby. Thanks again for having me, Kai! Happy to show off those beautiful new covers, Angela.